MAID OF ACE HIT THE ROAD! 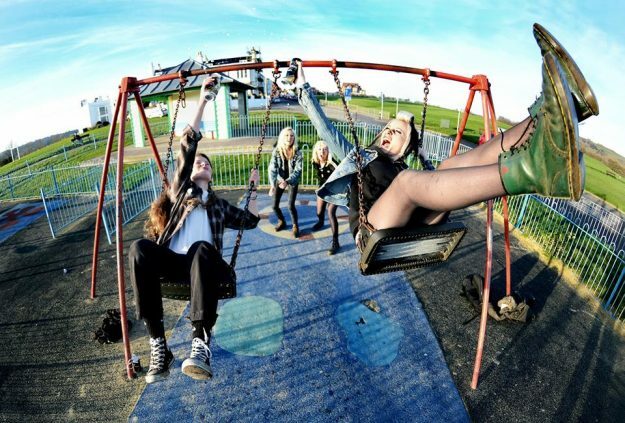 Sisterly south coast punks MAID OF ACE have announced a series of UK dates next month. Kicking off in Canterbury on 18 April, the tour climaxes with a special Some Weird Sin night at Nambucca in London on 28 April. With BAD NERVES and WHITE WITCHES also on the bill, tickets at a very reasonable £6.00 are available here. The Hastings quartet released their second album Maid In England to wide acclaim last year. It’s available now from their website. Both the band’s album are also now available to download from iTunes. Read a new interview with Maid Of Ace in the latest edition of Vive Le Rock! ‹ CHORDS U.K. SINGLE AND DATES!